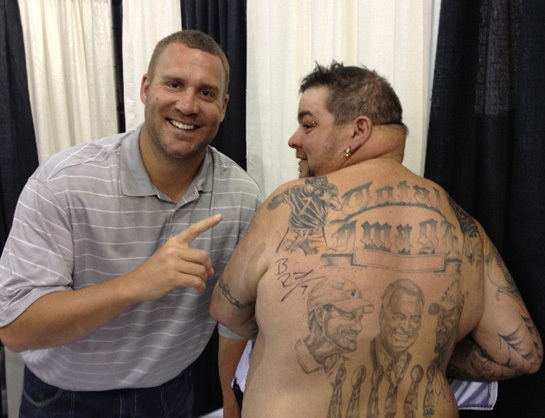 Ben points to the tattoo of himself on the back of fan Danny Winslow, who traveled from Newport News, VA to attend the Collectors Showcase of America Show in Chantilly, VA. Ben signed Danny’s back beneath his tattooed likeness and Danny plans on getting the autograph tattooed to his back right away! You can see all of Ben’s photos here. You can see fan photos from today’s event here (pages 1 & 2).